Is it foreigners per se , or must you speak Turkish . A Turk in the UK speaking only Turkish would be turned away also . This thread has been truely eye opening to me...Unbelievable maintenance fee's!! We are 1 of 82 villa's on secure gated complex with huge pool... we have our fare share of non paying owners, but they are being dealt with...We only pay 100tl/month...Should a developement change come, or site improvements....We are consulted and adaquate arrangements are made to implement it...IE additional fee's for that year!! Ohhhh don't worry if theres a big problem we get additional fees ON TOP. I am going out to the AGM in a couple of weeks time to see it all happen first hand. Don't get me wrong the site is amazing and one of if not the best I have seen in this region of Turkey buy its eye wateringly expensive. I live in hope of separating the Apartments from the villas in terms of charges and that soon all the major cockups from the original build will have been put right. Well dream on because we only pay 650TL per year but the management is virtually none existent and still plenty of Turks owing more than one years maintenance and the Turkish committee do not seem to want to take them to court, there is also one Brit who owes 7 years maintenance and they do not take him to court either. But due to the bad management since the Turks took over this season for the first time ever it looks like neither of our 2 pools will be opened, because of lack of cash. Frankly we all paid because the issues were serious and our investments would have turned to dust if wed ignored them. We don't like bad debtors either but we have repossessed and sold at auction some of the bad debt properties now. Some people are cutting an running. I again don't understand it. 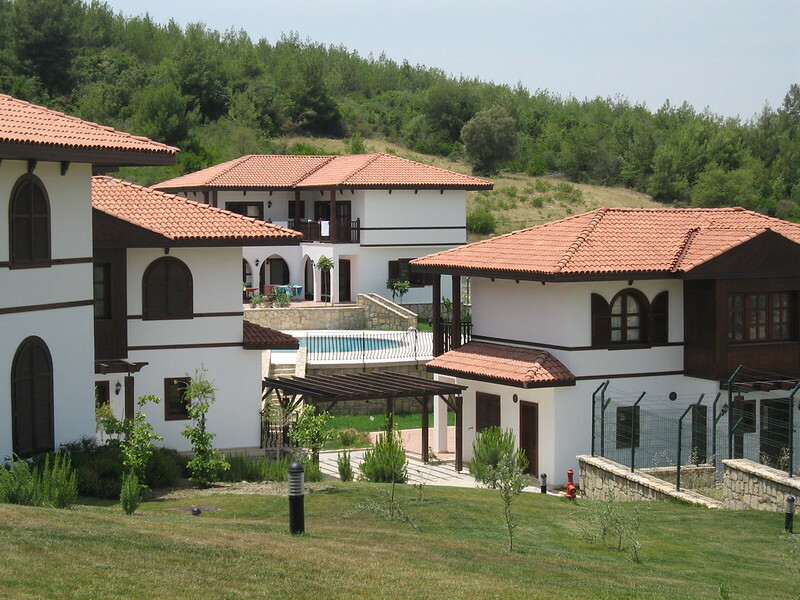 Even at the fees we pay having a two week Turkish holiday three or four times a year in a luxury villa, its still relatively cheep. At the moment none of us can sell, but my view is, OK fine, just as long as i can continue to use and enjoy it for the next 20 years and in that time anything can happen. Once i move out there ill be going for election on to the management committee. Hopefully I can take my professional skills to the table as a buildings surveyor and property agent and get things ticking over better. Our bashkan is a total waste of space and says she will step down at the next meeting, again the problem here is that after losing the last British committee members no-one wants to step up. Steve, I think if a non English speaker needs help at an official office they call in a linguist at the good old tax payers expense ! We had a UK representative living on site who we hoped would do a good job but there were many mistakes due to a total lack of understanding of buildings and construction and he was conned & fleeced by our on site Turkish representative. I don't really know how or if he was complicit, but I doubt it, I think he was just not qualified for the job. The Turk on site Orhan Turner had his wife involved as our solicitor as well as being related to Hickmit Arden who was the person who ultimately ripped us all off / landed us in debt to the Turkish Mafia. A lot of people got angry and our UK chap quit but i cant help thinking that was a mistake and he should have been helped. He got so upset hes leaving the village now. And of course no one wants to take over. The UK chap we have now is non resident and an excellent paper pusher if frankly not a very friendly person and we have the Turkish builder who botched so many of the jobs we are now paying for, in charge on the committee. We resisted this for a very long time, but I have to say since Mehmet Togal got his way (by blackmail in the end) we have seen a lot of repairs done and the site has been well looked after. In order to get us to capitulate he dug out a hill side so our sewage plant would collapse unless we paid for a retaining wall and he threatened to ban us from the common parts he held the tapu for. Which meant we would own villas but the only access would be via helicopter. True for Hospitals, councils, the courts and the police. Personally, I feel £1.66p is a small price to pay to save a life so fully supportive of the hospitals and obviously every one deserves a fair trial so I back the courts, but ONLY registered asylum seekers should be able to get this service for free elsewhere. I was laughing when the news papers were saying how interpreters were ripping off hospitals charging 130 of 30mns work???? The interpreter had to get to the hospital park do the job then leave for the next job so IMHO that was damed cheep. I couldn't get a plumber to do 30mins work for less. Agree ,the Turkish lady I have used twice drove to Ortakent tapu office ,did all sort of translating there . Took us in her car to another office ,more translating ,back in car to first office more translating ,then issue of documents I needed . Toplam £20.Cannot complain at that.